Combine first 3 ingredients in a cocktail shaker and shake. Pour into an Irish Coffee Mug. 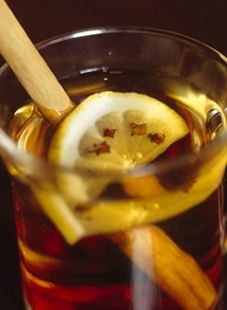 Top up with boiling water and garnish with a cinnamon stick and lemon twist.